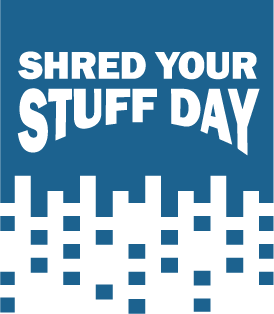 News from LMCU: Shred Your Stuff Day coming up! Shred Your Stuff Day coming up! Bring all your old, sensitive documents to LMCU’s fall Shred Your Stuff Day for secure disposal. Saturday, Sept. 12, 8-11 a.m. at our Glenwood Hills Corporate Office located at 5540 Glenwood Hills Pkwy. SE. Limit 4 boxes, please! Look for a Kalamazoo Shred event in early Spring 2016.